The Town Council Allotments are between Gravits Lane and Sandringham Way, Bognor Regis. There are a total of 142 Allotments. If you are interested in renting an allotment please fill in an application form. We currently have a high demand for allotments and there is a waiting list, which is operated on a first come, first served basis. We can put you on the waiting list and we will contact you as soon we have plots available. Due to the high demand, priority is given to Bognor Regis Town residents. If you live outside the Parish boundary you may wish to contact your local Parish Council who may be able to help you to apply for an allotment in your area. 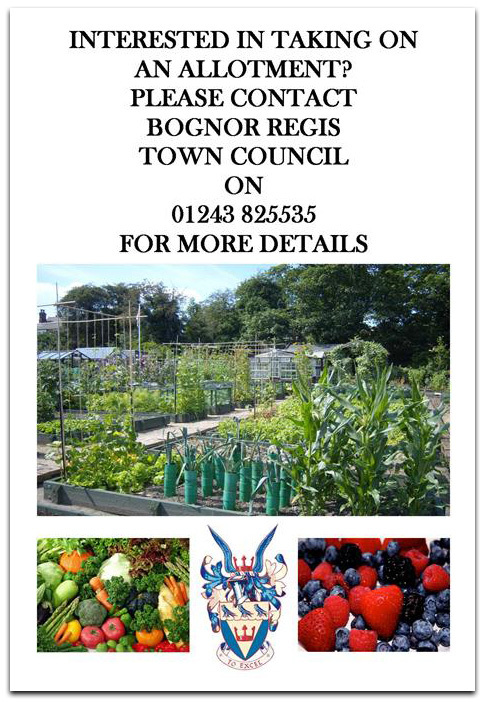 Allotments, Bognor Regis Town Council, Town Hall, Clarence Road, Bognor Regis, PO21 1LD. Many people taking on an Allotment for the first time find it an expensive business initially. After paying their fees they may have to buy tools seed or plants etc in order to get their allotment up and running. With the help of the Tenant Representatives on our Allotment site we are setting up a tool bank to help out. 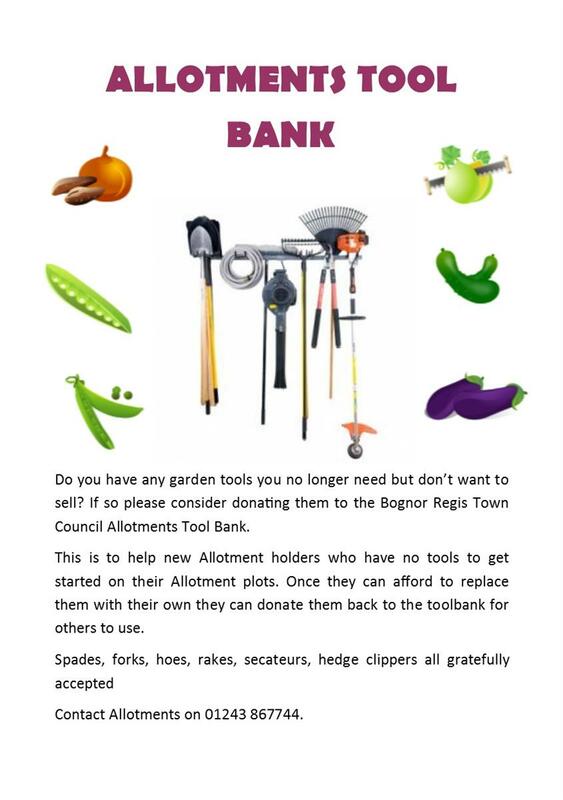 Any unwanted gardening tools can be donated to the allotments and will be stored until there is a need for someone to be given a helping hand. Once up and running they may be able to purchase their own equipment and the tool bank will take back the borrowed tools for another to use.